Do you long for the soothing comfort of a relaxing massage, but can’t find the time to indulge yourself? You don’t want to have to battle rush hour traffic on your way to the massage parlor, and with our mobile massage company in Columbia area, Maryland, you don’t have to. Revitalizing your mind, body, and soul is easy with soothing, professional massages from Aura Massage. Enjoy the relieving comfort of a massage at home or in the office when we bring our operation to you. But, if you need to escape and relax ...no worries! We have that space for you! Visit us in our location in Chartwell Professional Park 8180 Lark Brown Road, Suite 301, Elkridge, Maryland, 21075. We proudly offer massage therapy services that help repair injured tissues by improving blood circulation. When you schedule an appointment, we proudly provide our own sheets, tables, and all of the required materials to provide high-quality service for at home or in office massage. Our Swedish and deep tissue massage will help to relieve chronic pain, improve blood circulation and help you to sleep better, so you can get back to enjoying life on your terms. Whatever your needs, we’re prepared to offer you a one-of-a-kind relaxation experience. Sometimes, clients find it difficult to relax in a spa or a salon because they’re unsure of their surroundings. In addition, the drive to and from the massage session can diminish the benefits the patient receives. However, with an at home or in-office massage from our practiced therapists, you can enjoy a break from your hectic day-to-day routine in a familiar place. Upon arrival to your preferred massage destination, we’ll set up our table or chairs in your area of choice. We recommend choosing an area that’s private, quiet, and roomy. Having a quiet environment to relax in will do wonders to enhance your massage session. Book a stress-reducing massage today. Get all the benefits of a great massage at a time that's convenient for you. Relax and let Aura Massage sooth your tired and aching muscles. As a in office and mobile massage company, we proudly provide or clients with in-home and in-office massages. We’re a proud member of the American Massage Therapy Association. Our goal is to provide everyone we serve with the best service possible. Our founder, Vasilica Abrams, is a professional registered massage practitioner and massage instructor with 13 years of experience in the industry. 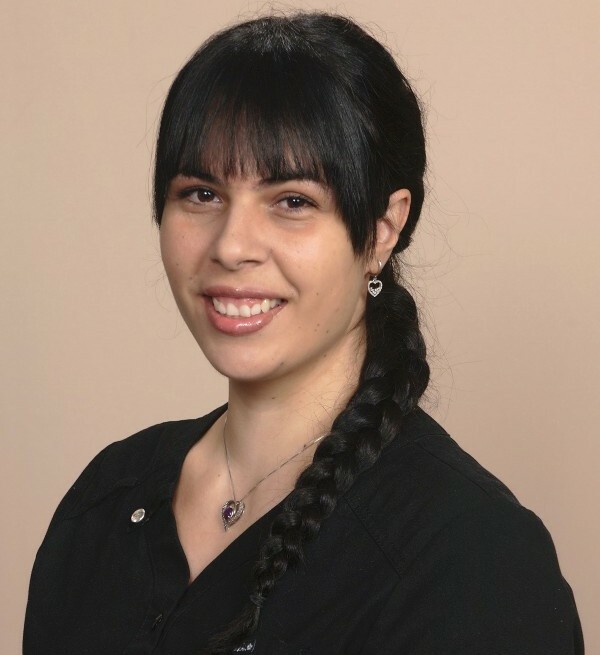 Originally from Romania, Vasilica and her staff now serve clients all throughout the state of Maryland. Utilizing special deep tissue and Swedish massages techniques to relieve chronic pain, improve circulation, and aid in general wellness, we never avert our focus when it concerns the quality of our work. To us, it’s not about how many massages we provide, it’s about how many good massages we provide. At your request, we’ll provide specific rehabilitative measures to bolster any injury recovery efforts. From deep-tissue treatments to Swedish massages, we know how to soothe tired, aching muscles by relaxing pain away and rejuvenating your body. By providing light to medium pressure on sore muscles, we’re able to release pent-up tension and return your body to a tranquil, peaceful state. If you’re recovering from an injury or surgery, our massage treatments are sure to benefit you greatly. When you invest in a personalized in-home and in-office massage, we’ll provide you with a combination treatment that’s fit to your specific needs. Best of all, our sessions start when the actual massage begins, not when we arrive. We’ll ensure that every minute we spend serving you is a moment of utter relaxation. No matter what your needs, we’ll ensure you receive the absolute best service possible. Whether we’re coming to you at your home or in the office, you can rest assured that you’ll enjoy the increased flexibility and pain relief that comes with muscle manipulation. Trust our mobile massage company to put you on the road to wellness with a personalized massage that’s sure to provide you with lasting comfort. Contact our mobile massage service to schedule an appointment with our skilled therapists. We proudly serve patients all throughout the state of Maryland. Monday , Tuesday, Wednesday, Thursday 9:00 a.m. - 7:00 p.m.
Friday and Saturday 9:00 a.m. - 5.00 p.m.
Sunday - 2:00 p.m. - 7:00 p.m.